Oceans inc: Catch shares: Who owns the fish? Catch shares: Who owns the fish? 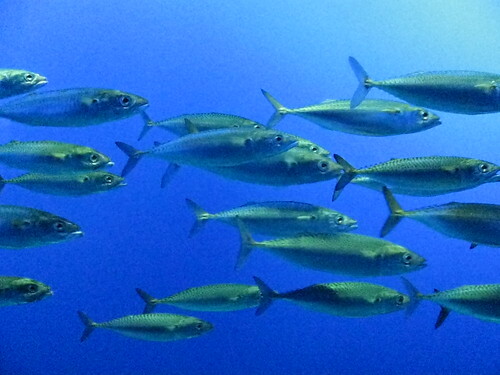 Since 2000, 47 studies have looked at environmental effects of catch shares. Slightly more than half, 24, found no effect or negative effects, including the four most comprehensive and recent studies, a review of the research shows. The Center for Investigative Reporting found that the seafood industry and the environmental groups advancing the system paid for 11 of the 23 studies that praised catch shares. In six cases, funding could not be established. Roughly 2 out of 3 favorable studies with clear funding sources were paid for by an industry that has spent more than $200 million promoting the system. Five independent government studies have found positive effects from the system. One of the most notable and widely cited studies, a 2008 article in the journal Science by University of California, Santa Barbara researchers, showed that in fisheries where catch shares had been implemented, the system could halt and even reverse fishery collapse. That study, according to both the Environmental Defense Fund and a researcher at UC Santa Barbara, was largely paid for with a $5 million grant from the Paul G. Allen Family Foundation as part of a partnership between the university and the environmental group. A spokeswoman for the foundation said the grant money was given only to the university and not the environmental organization. For centuries, men like Larry Collins, a garrulous crab and sole fisherman, were free to harvest the seas. But sweeping across the globe is a system that slowly and steadily hands over a $400 billion ocean fishing industry to corporations. The system, called catch shares, in most cases favors large fishing fleets, a review of the systems operating across the United States shows. See the video below for an explanation of the catch share system.